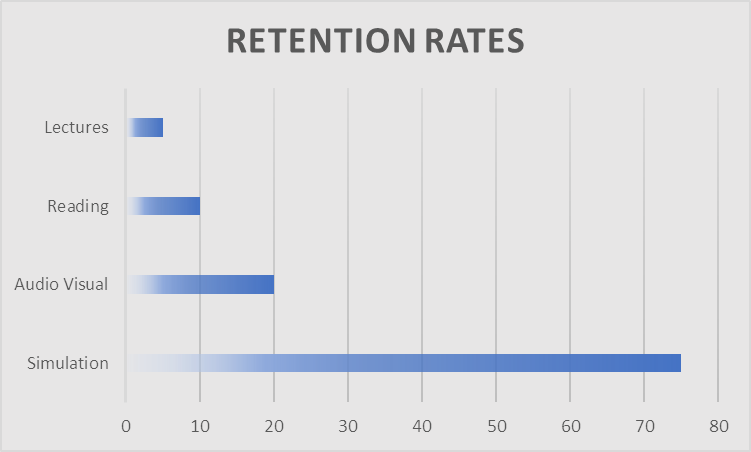 According to the VR Learn report published by Elliot Masie, learning retention increases substantially when simulation is part of the training experience. Although we did not conduct a scientific experiment our experience lead us to the same conclusion. The report highlights the potential for virtual reality in training in a variety of industries.